Died: 31st October 1916; age 26; Died of Wounds – 14 C.M.D. Station. Residence: 51, Priory Street, Ipswich. 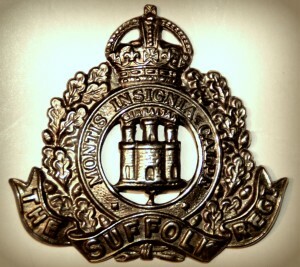 Relatives Notified & Address: Son of Mrs A. Arrell, of 51, Priory Street, Ipswich. Arthur was 11 months old and living with his parents & siblings. Jonathan Arrell, 46, an Agricultural Labourer, born Bedingfield, Suffolk. Ann Arrell (nee Stone), 46, born Southolt, Suffolk. 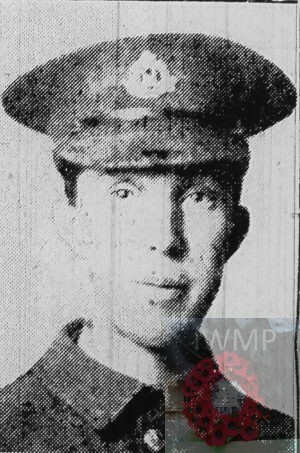 Robert Jonathan Arrell, 17, an Agricultural Labourer, born Bedingfield. James Stone Arrell, 15, an Agricultural Labourer, born Bedingfield. Alfred Edward Arrell, 13, an Agricultural Labourer, born Bedingfield. Phoebe Frances Arrell, 11, born Bedingfield. Emma Matilda Arrell, 9, born Bedingfield. Ernest Albert Arrell, 5, born Aspall. William Newson Arrell, 3, born Aspall. 1901 Middlegate Farm, Bacton, Suffolk. Arthur was 10 years old and living with his parents & siblings. Jonathan, 55, a Horseman on a Farm. Ernest, 15, a Farm Labourer. William, 13, a Farm Labourer. Lily Elizabeth Arrell, 8, born Aspall. 1911 Upthorpe, Stanton, Bury St. Edmunds, Suffolk. Arthur was 20 years old, a Labourer on a Farm. he was living with his parents & sister. Jonathan, 64, a Horseman on a Farm. Arthur is also remembered on the war memorial at St. Nicholas Church, Ipswich.